I tried to keep abreast of verdicts and settlements in personal injury cases in Maryland by reading the Maryland Daily Record, keeping up on the Maryland Association for Justice listserv, and getting the reports from Jury Verdict Research, Metro Verdicts, and just what I hear on the street from other lawyers. If I have never heard of you, that is a huge risk factor for a defense verdict. Let’s start with the usual caveats. Well known lawyers lose cases and guys working out of their houses can win big cases. It happens all of the time. No question. But if you look at reported settlements and verdicts, you see a monetary outcome of the case before you get down the names of the lawyers at the bottom. When I see a defense verdict or a small verdict in a case, I start betting it is going to a lawyer I don’t know. It is amazing how often this comes to pass. Is it because the quality of the lawyer matters so much or is it because the best lawyers get the best cases? I’m sure it is a combination of both and I don’t know which factor matters more. But if you read 200 cases, you will be amazed at how well this stereotype holds true. That first rule is compounded by 10 when looking at medical malpractice cases. If you are not regularly handling medical malpractice cases, it is extremely unlikely you are going to take a case to trial. Virtually, everyone who has won a medical malpractice case in the last few years is a malpractice lawyer that I’m familiar with. When it is someone that I have never heard of, I usually google to see who it is. Most of the time, I am surprised it is not someone I have heard of because he or she does have at least some track record of success. Usually, it isn’t their first rodeo. Soft tissue injury cases without a permanent injury do not belong in Circuit Court. I see tons of these cases in Circuit Court. The lawyers are rarely anyone I have heard of, and the outcomes are usually awful in the context of the time, effort, and expense of a Circuit Court case. Sometimes, this happens because insurance companies “bump up” to Circuit Court claims that should be heard in District Court (a jury trial can be prayed from defense counsel for claims over $15,000). Other times, there are Plaintiffs who simply believe that a good recovery after eight weeks of treatment, for neck and back injuries, after a rear end accident with limited property damage is worth a truckload of money. Juries are telling us that it is not, in most jurisdictions, except Baltimore City and Prince George’s County. Venue matters. We have lost malpractice cases. But I don’t think we have ever lost one where the jury did not wrestle with the claim because it was a close call. 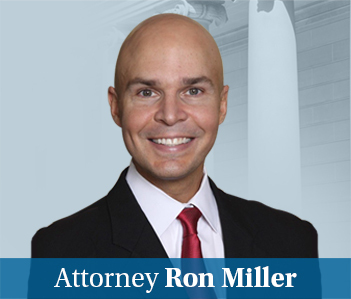 We have also never lost a malpractice lawsuit in Baltimore City or Prince George’s County, the two golden jurisdictions for Plaintiffs in Maryland. (By “golden”, I really mean fair. But it is all relative.) Had those three malpractice cases we have lost in the last 13 years been in Baltimore or P.G, I think we would have won those cases. When you look at these verdicts, you see the same trends. It may be the jurisdictional differences are even more extreme, because the insurance companies are quicker to settle close call cases in those jurisdictions. We recently settled back-to-back malpractice cases in Carroll County, and every fourth word at mediation in those cases was “Carroll”. The type of injury matters. I just wrote a blog post about this last week. Type of injury is the single best predictor of settlement value of your claim. If Progressive Insurance is trying a case, it is either an awful case for the Plaintiff or an uninsured motorist case. Progressive talks a big game, particularly when they hire outside counsel. They have the luxury of taking a big game because they write such small policies. So they know it is a lot of work for a small upside. But they are such bullies until an actual fight breaks out. But I can’t find Progressive trying a case in recent years where it had real exposure of a significant verdict. The great irony is only cases where we “rolled the dice” was in the Baltimore City wrongful death case that nationally besmirched its reputation. Why did Progressive let that one go to trial? Just like what I said: Progressive is unafraid to try uninsured motorist cases against it own insureds because the policies have these typically small caps. If in-house counsel is trying the case, a large verdict is rare. 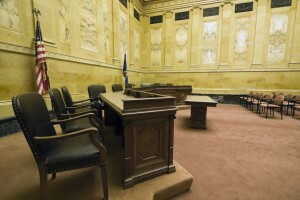 If an insurance company’s in-house counsel is letting the case go to trial and the insurer is not State Farm, you are unlikely to get a good verdict. Why? Insurance companies send to outside law firms those cases that they think there is a possibility of a verdict that will exceed the policy limits. If GEICO is trying a severe injury case, it likely over a liability dispute or there is a stipulated verdict. GEICO is not letting a lot of serious injury cases go to trial where there is no serious question over liability. But if there is a real liability dispute (or there is no property damage which is an entirely different animal) GEICO is willing to roll the dice. No one is afraid to try an uninsured motorist case. We have a terrible first party bad faith law in Maryland. Our insurance commissioner has made clear that insurance companies refusing to fairly value cases is not bad faith under the agency’s interpretation of the law. So the uninsured motorist carrier has real leverage, and they are not afraid to use it.